Tony Skyrme is well known for his ever-elegant and stylish tweeds. 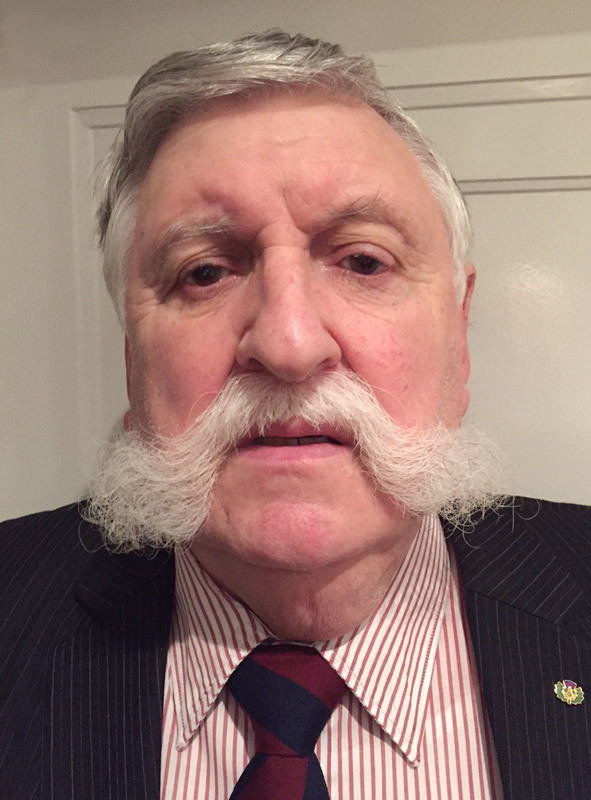 He is also the custodian of the Handlebar Club's archives, which document from its post-war-Britain beginnings on April Fool's Day in 1947, when Raymond Glendenning, Jimmy Edwards, Frank Muir and Bill Hooper inaugurated the Club, right up to the present day. Conrad J.A. 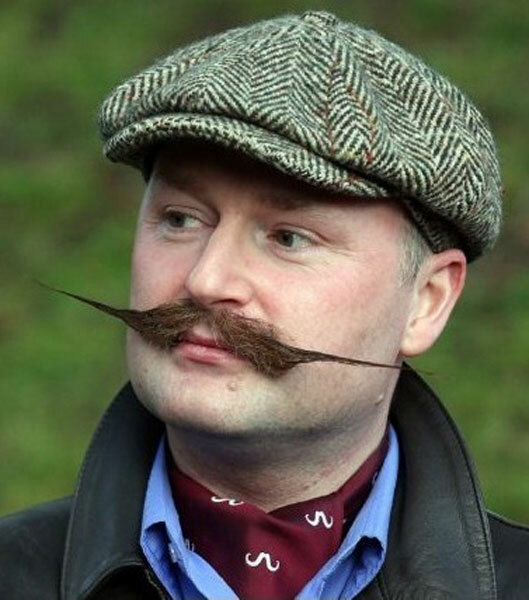 Amis joined the club after deciding to keep his 2010 Movember moustache for one more month. Despite claiming to hail from the North-East, he seems to spend most of his time following Middlesex and Fulham and blathering on about John Betjeman to anyone too polite to escape. 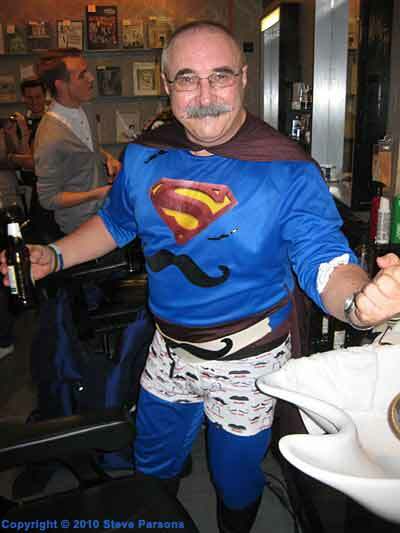 Alex McBride has been our steadfast and reliable Handlebar Club Treasurer since 2008. Although often a man of few words, when consulted for advice, his counsel is always wise and apposite, and his accounting faultless. Tom Cutler is a humorist and writer from Hove, East Sussex. 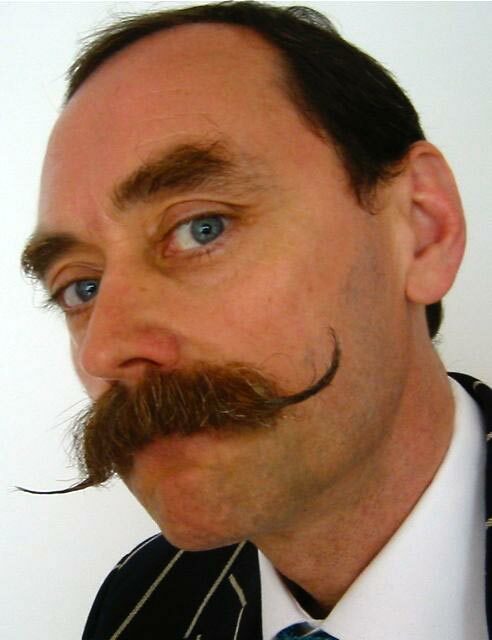 His assertion that, "You don't grow a moustache; a moustache grows you!" shows the depth of profundity and mind control that the hirsute appendage can exert on its wearer. Tom has responsibility for our Members Newsletters.